Tales of science fiction and adventure from the Hugo Award–winning author of Way Station and City. 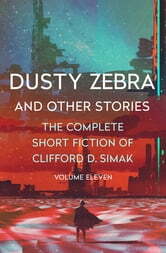 The long and prolific career of Clifford D. Simak cemented him as one of the formative voices of the science fiction and fantasy genre. The third writer to be named a Grand Master by the Science Fiction Writers of America, his literary legacy stands alongside those of Robert A. Heinlein and Ray Bradbury. 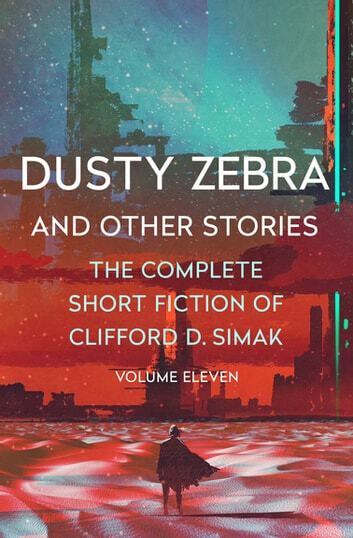 This striking collection of nine tales showcases Simak’s ability to take the everyday and turn it into something truly compelling, taking readers on a long journey in a very short time. In “Dusty Zebra,” Joe discovers a portal that allows him to exchange everyday objects with an entity he can neither see nor hear, and soon learns that one man’s treasure may be another dimension’s trash. In “Retrograde Evolution,” an interplanetary trading vessel tries to figure out how to deal with a remote society that has suddenly decided to become far less civilized. And in “Project Mastodon,” an unusual ambassador from an unheard-of country offers amazing opportunities in a place the modern world can never compete with: the past. Simak’s mastery of the short form is on display in these and six other stories. Each story includes an introduction by David W. Wixon, literary executor of the Clifford D. Simak estate and editor of this ebook.